This story tore me up. I had the same experience with a little dog named Munchkin. His story is on Animal Advocates website also. He was assessed by the same man. 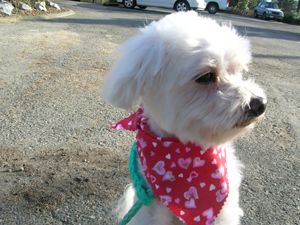 Munchkin was of no threat to anyone, and I begged the Burnaby SPCA to adopt him to me. They said it was "best for all concerned" to have him put down. He was murdered. I have no idea how to get the public to know about what is going on. I went to the Sun newspaper with this. The reporter seem quite appalled and said he would investigate. I gave him Barry McKnight's and his manager's names. Then the reporter emailed me saying his editor wasn't interested in the story, so it was dropped. I didn't know where to turn so I told Judy Stone of Animal Advocates and she put his story on the AAS website. She listened. Munchkin failed the same test given to Tyson. He had what they call kennel rage because he was left in a kennel for 4 months. I know of no one at the Burnaby SPCA who would walk him, talk to him, anything. I was a volunteer dog walker and when I found him in a kennel far from the other dogs, they told me he was dangerous and not to walk him. He was at most only 10 lbs. I ignored them, and once I got him out of the cage, he was so grateful it took maybe 1/2 hour and he was curled up in my lap. I fell deeply in love with the little guy. I walked him everyday on my lunch hour and 2 to 4 hrs every weekend. I tried to adopt him but they said he would have to pass the test. If they gave him the test in the cage I knew he would fail which he did. He was such a sweet loving little dog, he just couldn't handle being in the cage. I will never get over what they did to him. I am so sorry this happening. If anyone can think of a way to get this to the public via the media and newspaper, I would be glad to tell Munchkin's story.